It’s not as if Jason Day hadn’t been in this position before. For the third straight major championship, the 27-year-old Australian found himself with at least a share of the lead after 54 holes. Of course, those last two tournaments didn’t exactly work in his favor, as he was unable to pull off victories at either the U.S. Open or the British Open. Now heading into the final day of the PGA Championship, with the pressure mounting and a surging Jordan Spieth lurking in the shadows, you had to wonder if the moment would prove — once again — to be too big for the a guy who’s spent most of his pro career settling as a bridesmaid. This just in: It wasn’t. With a 5-under 67 final round, Day won the PGA Championship and finally vanquished his major demons. No longer would he have to remain on the list of talented golfers who couldn’t win the big one. If only he was prepared for the flood of emotions that would soon follow this accomplishment. Spieth may have been the favorite heading into Sunday’s final round, but there was nothing he could do to rain of Day’s parade. His play this past week at Whistling Pines was beyond amazing. It was historic. 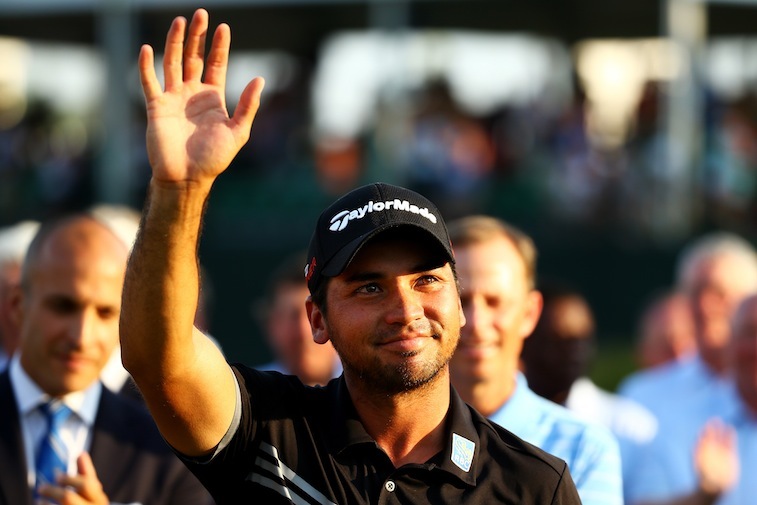 Never before had a player in the modern era ever managed to shoot 20-under par at a major. Not Tiger. Not Nicklaus. Not Palmer. No one. But that all changed on Sunday. Day finished the PGA Championship at 20-under 268, eclipsing the 19 under mark Woods put up in St. Andrews at the 2000 British Open. Just think, Day had come up short so many times, he wasn’t sure this moment would ever come. With a player as talented as Spieth on his tail, Day knew he had little room for error. In fact, the 22-year-old Texan also managed to set a record of his own on Sunday, by finishing all four of this year’s with a combined score of 54-under par. And yet, this isn’t about the incredible season that Jordan Spieth’s had. This is about a guy who throughout his life has battled adversity, disappointment, and hardships, and never wavered. This is about one moment of triumph; one moment of history. 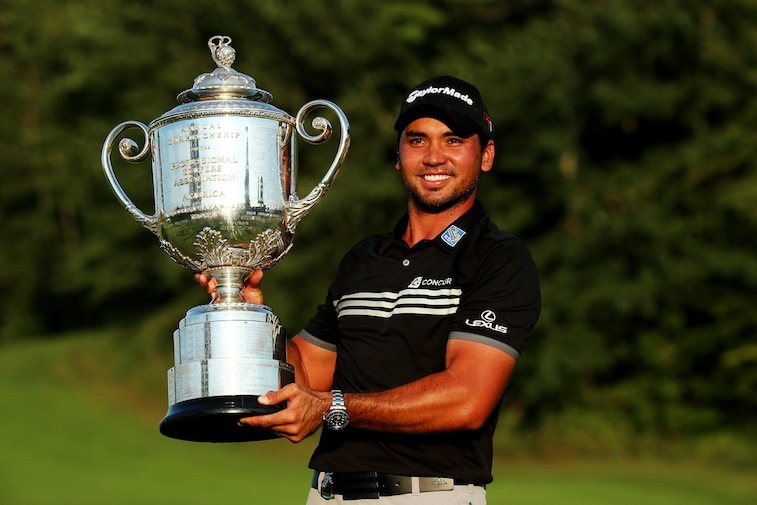 Congratulations, Jason Day. This one had your name written all over it. All statistics are courtesy of ESPN.go.com and ESPN Stats & Information.